At times, people do really stupid things without meaning to. I like to eat my bread with a thick layer of peanut butter , which my Godbrother had dubbed my bread as the 'Peanut Butter Glue Bread" because once, he took a bite out of my bread and he went quiet and chewed and chewed... and chewed. When he finally finished that bite, he told me he thought his mouth was glued together, by the sheer power of peanut better. As usual, I will take a huge chunk of peanut butter first only then take the bread out and spread it on but today, after taking the bread and before spreading the peanut butter on, I realized that there were spots of mold growing on the bread so I stood there thinking what should I do. I threw the bread away AND THEN I stared at that huge spoonful of peanut butter, thinking hard of what I should do. There are no other bread in the house, nothing else that I can spread it on but I thought it would be so wasteful if I am to throw it so ......... 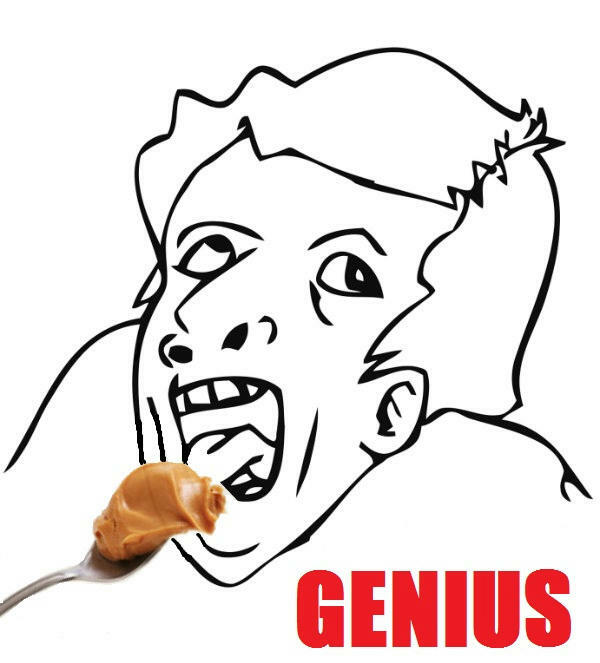 I swallowed that lump of saliva and then I braved myself for that mouthful of peanut butter. I thought my mouth was glued on for eternally as I started chewing (or at least TRYING to move my mouth) but after 10 seconds or more, I had to spit it out. It felt like eating a huge gum ball but with a chunky and sandy texture where it is very clay-ish yet slightly chewy yet chunky yet sandy. I reckon you should try it once to get what I mean. Wasting or not, out it goes from my mouth. WEIURGH! Hahaha! U're so funny. Thks for making my day!